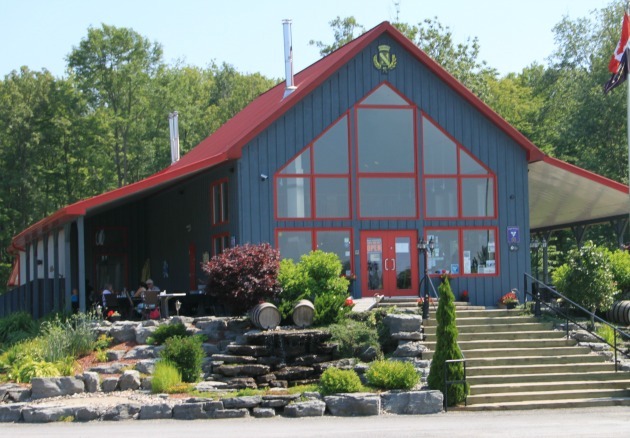 With only an hour to spare on my way through the Niagara Escarpment, I only had time to tour one winery. I chose Creekside Estate because it was highly recommended and there was a connection with two other wineries I’d featured recently. While researching a story for Saltscapes Magazine, I’d discovered that Blomidon Estates in Nova Scotia had been owned from 1997-2007 by Peter Jensen and Laura McCain-Jensen who also owned Creekside from 1998 – 2012. In another interview for this website, Paul Battilana winemaker at Casa Dea Estates Winery in Prince Edward County, Ontario mentioned he’d worked at Creekside during the time it was making signature wines for Mike Weir and Wayne Gretzky. As I worked my way through a row of tasting glasses of Rob’s great Sauvignon blanc, Shiraz and Viognier, I discovered where the pieces I knew about fit on the Creekside timeline and a whole lot more. 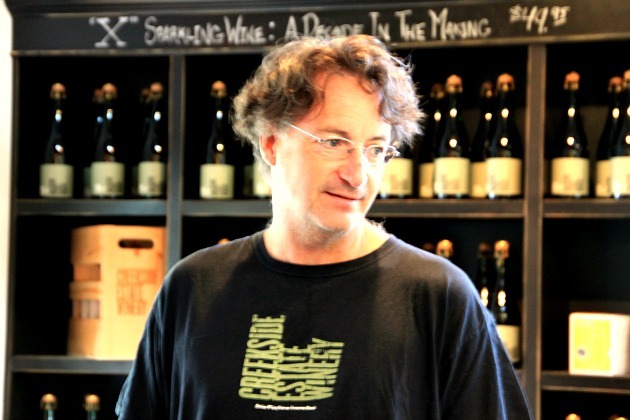 Rob joined Creekside as assistant winemaker in 2000 and then in 2002, he and Craig McDonald began a celebrated winemaking team that would last until 2009. Rob vividly remembers the early days of being “the flying winemaker” handling both Creekside and Blomidon from 2000-2003. From his experience with winemaking in Nova Scotia, he was finally able to give me an explanation why the hybrids that make exceptional NS wines aren’t grown in Ontario. Apparently, Ontario’s high summer heat and humidity, brings out the lambrusco elements of these hybrids causing them to become very grapey and flabby. In 2007, Paul Battilana was hired as assistant winemaker when they added signature wines for Wayne Gretzky and Power advised the Jensens to sell Blomidon as there was so much activity at Creekside. In 2008, the dynamic winemaking team of Rob Power and Craig McDonald were named Winemakers of the Year at the Ontario Wine Awards. 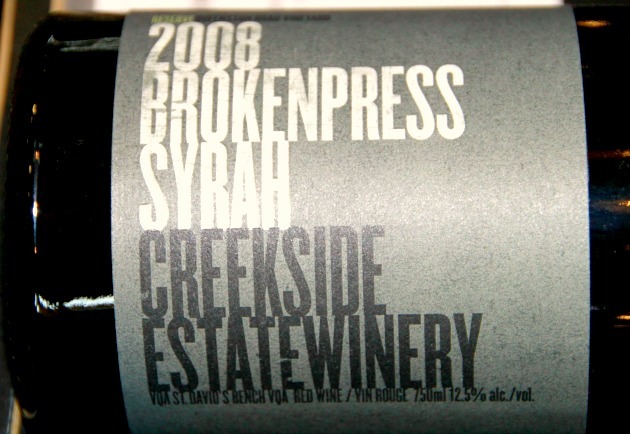 At their peak, Creekside winemakers oversaw an output of 75,000 cases of wine for their three brands. 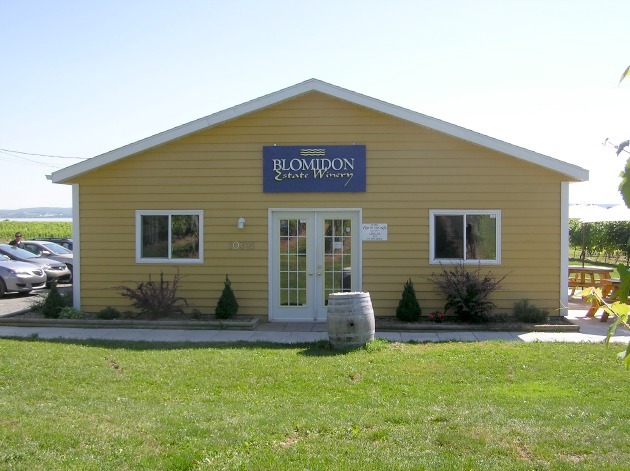 They built a strong reputation for making innovative wines and the winery was in the Wine Access list of the Top 10 wineries of Canada. 2009 was a watershed year for Creekside, Peter Jensen and Laura McCain stepped back from active involvement in the decision-making at the winery. Mike Weir ended his business relationship with Creekside, and Paul Battilana accepted the position of winemaker at Casa Dea in Prince Edward County. The next year, Craig McDonald became head winemaker at Peller Estates‘ Hillebrand Trius winery and in 2011, Gretzky took his business to Peller Estates. In 2012, Laura McCain sold the winery to Equity Wine Group The new owners have committed to preserving the character of Creekside. I went to Creekside looking for answers to some of my questions about other wineries I knew. I discovered Creekside is now looking for its own answers to the way forward. Despite its meteoric rise and the upheavals that rocked it from 2009-2012, Rob Power is still very positive about the winery’s future. As a wine tourist, I found Creekside was a beautiful winery to visit, the staff were friendly and informative, and the wines were excellent. The Sauvignon Blanc Reserve and the Broken Press Syrah came home with me and I’ll be back next year to restock.